The meeting of President Shavkat Mirziyoyev and Federal President Frank-Walter Steinmeier took place in the Bellevue Palace, the presidential press service reports. During the meeting, the parties discussed issues of further deepening political dialogue and mutually beneficial cooperation on a wide range of issues. The desire to continue mutual support within the framework of the United Nations, the Organization for Security and Cooperation in Europe and other authoritative international structures was reaffirmed. The presidents noted the importance of strengthening relations based on the implementation of the new EU Strategy for Central Asia, which is being developed on the initiative of Berlin. The head of our state proposed to establish a dialogue in the format of "Central Asia + Germany". It was noted that in the process of radical modernization of the economy of Uzbekistan, attracting a wide range of advanced German experience and technology is of particular importance. Cooperation in the cultural and humanitarian field was also discussed. The perspectives of using effective German pedagogical technologies in the field of school education, including the implementation of the initiative “Schools: Partners of the Future” (PASCH), as well as the opening of branches of German universities in Uzbekistan and the deepening of cultural ties between our peoples were noted. 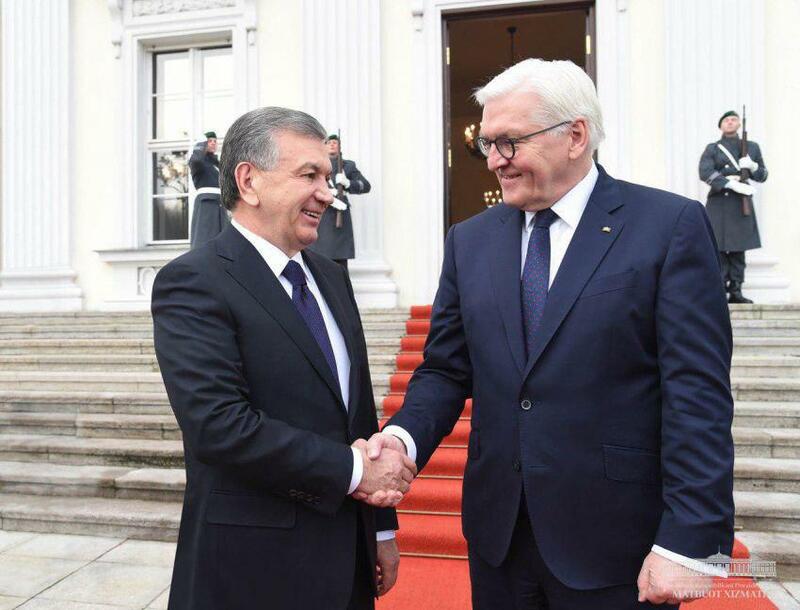 At the end of the talks, the head of our state invited Frank-Walter Steinmeier to visit Uzbekistan. In turn, the Federal President announced his readiness to visit our country in the spring of this year.